The effects of heroin use are quite serious. There can be lasting health consequences - and even death - associated with heroin use. 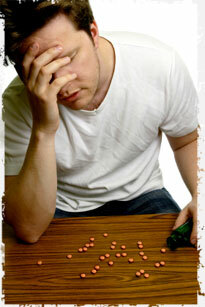 Heroin use can cause serious problems even the first time that it is used. And because of the culture surround heroin substance abuse, there are indirect problems and diseases that can occur because of heroin use. How heroin produces a "high"
After the injection of heroin (this is the most popular way to abuse heroin, but it can be snorted or smoked as well), euphoria is felt. This can take place within eight seconds after the injection. Snorting and smoking take longer for the effects to be felt. The euphoria felt after the injection of the heroin comes with dry mouth, warm flushing on the skin and the feeling that your extremities (feet and hands) are heavy. After the initial "rush" wears off, one's state fluctuates between drowsy and alert. This is called being "on the nod." In this state, judgment is clouded, and the feeling of heaviness in the extremities may persist. This leads to a surreal experience that some users find attractive. Call 800-481-9412 To Get Help Today! Heroin depresses, or slows down, the central nervous system. This can cause the heart rate to slow, and blood pressure to drop. Respiratory functions can also be impaired. Prolonged use of heroin can lead to heart and/or lung failure. Heroin creates conditions of bad health over all, making the body susceptible to illness. Liver disease and pneumonia are just a couple of the problems that can result from the body's lowered immune system abilities. Heroin is also a drug for which the body develops a tolerance. This means that as the body becomes used to the effects of heroin, more and more is needed in order to produce the "rush." Eventually, as increasingly high dosages are needed just to achieve the same thing that the first dose did, the body becomes dependent on the drug. This means that the body almost needs heroin to function. The heroin has negative effects of the body overall, but the body has become used to having the drug present in its system. The culture of heroin substance abuse lends itself to certain effects that may not be directly related to the drug's effects on the body. However, these other effects can have very real and lasting effects on someone's long-term health. Collapsed veins. Eventually, continually injecting heroin into the same spot can result in collapsed veins. This leads some heroin users to move on to another vein. Some heroin addicts have collapsed several veins as they move on to "usable" entrance points for needles. Infectious diseases. Many heroin users actually use the drug in groups, often even at the dealer's location. This often results in shared needles. This means that it is possible to get diseases from infected users. Hepatitis and HIV/AIDS can be contracted this way. These are two diseases that, while they are often "managed," cannot be cured. Effects of additives to heroin. Sometimes heroin dealers mix the drug with other substances to stretch supply and make more money. This can be very dangerous. Some of the additives do not dissolve as well as heroin does, and this can lead to blood vessel clogging. This can lead to heart, lung and kidney problems. Heroin affects unborn children. It is important to remember that heroin will also affect a fetus. Heroin use can result in spontaneous abortion as well. Low birth rate among children that do survive prenatal heroin exposure is common, and this can cause developmental problems. Heroin substance abuse results in very real problems. The Drug Abuse Warning Network found that eight percent of emergency room visits that are drug related are a result of heroin use. Another four percent of drug related emergency room visits were the result of "unspecified" opiates - some of which could include heroin. It is vital to recognize the danger that heroin substance abuse can expose the user to.